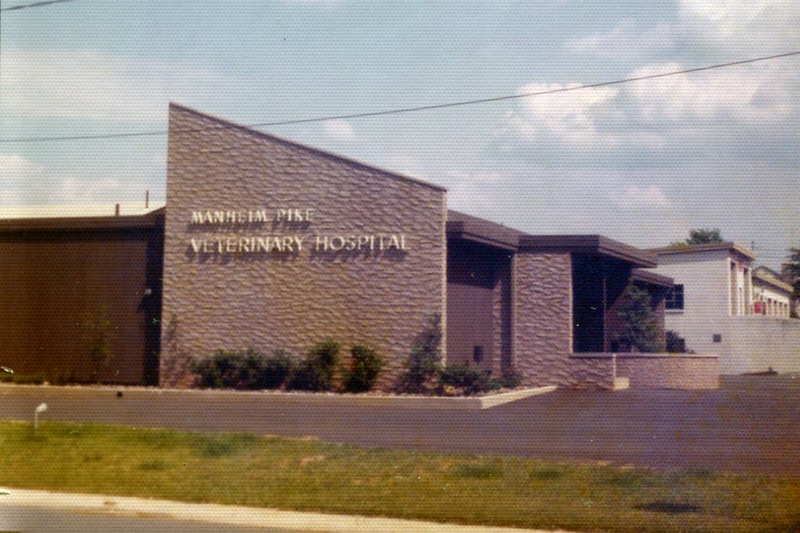 Founded in 1964, Manheim Pike Veterinary Hospital's history is impressive. 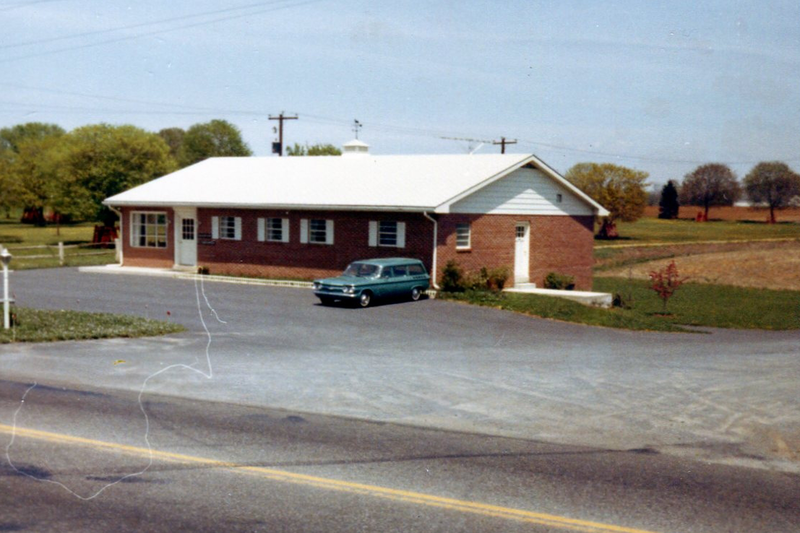 Manheim Pike Veterinary Hospital’s history starts more than 50 years ago, when Dr. Donald Herr and Dr. Patricia Thompson founded the practice in 1964. Both are graduates of the College of Veterinary Medicine, Cornell University. At first, the building was both home and office to the couple. They raised their family here until 1968 when they moved a few miles away and converted the living areas to work/employee areas. 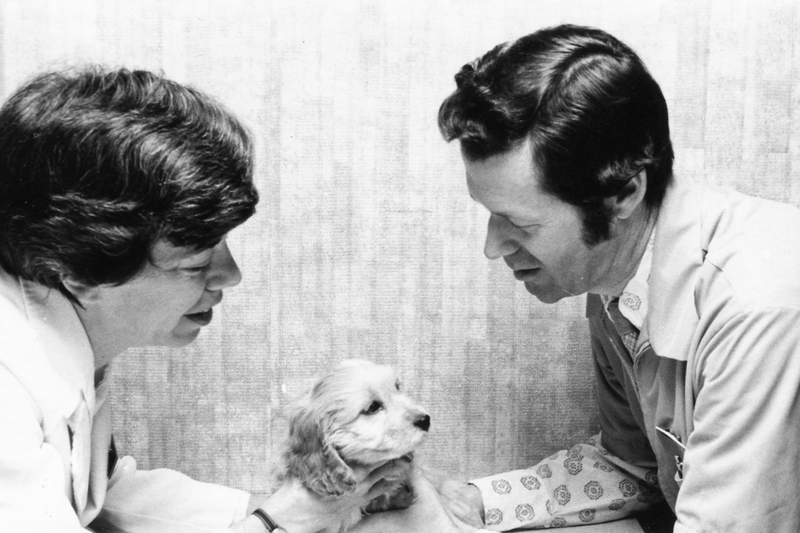 Originally a large and small animal practice, in 1970, MPVH was limited to companion animals only. The hospital was accredited by the American Animal Hospital Association that same year. 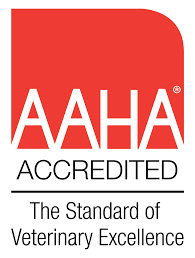 And since that time, the practice has maintained the highest level of accreditation with AAHA and serves the community as a full service hospital. To maintain these rigorous standards, MPVH has continued to change and grow. In 1972 Dr. Marc Rovner joined the professional staff. 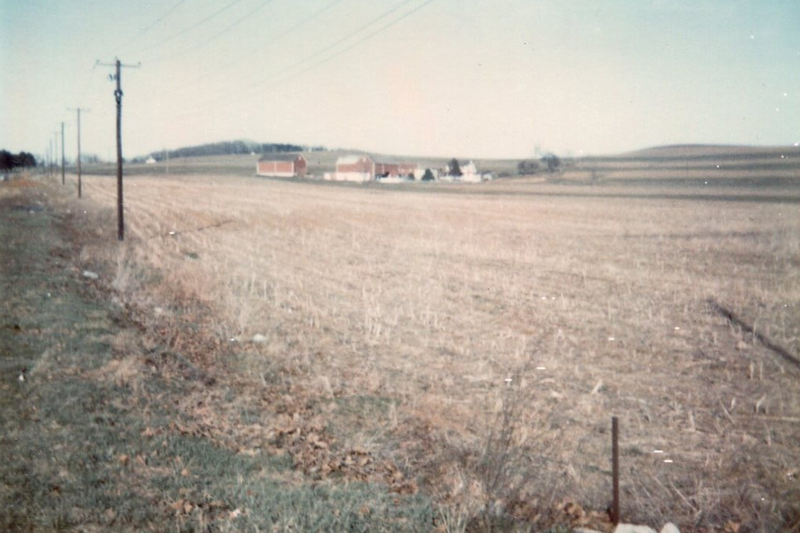 A graduate of Penn State University and the University of Pennsylvania, School of Veterinary Medicine, he became the third full-time Veterinarian. He started our relationship with ORCA, the Organization for the Responsible Care of Animals, by donating his time and services. As a result, that relationship continues today, even after Dr. Rovner’s retirement in October of 2014. 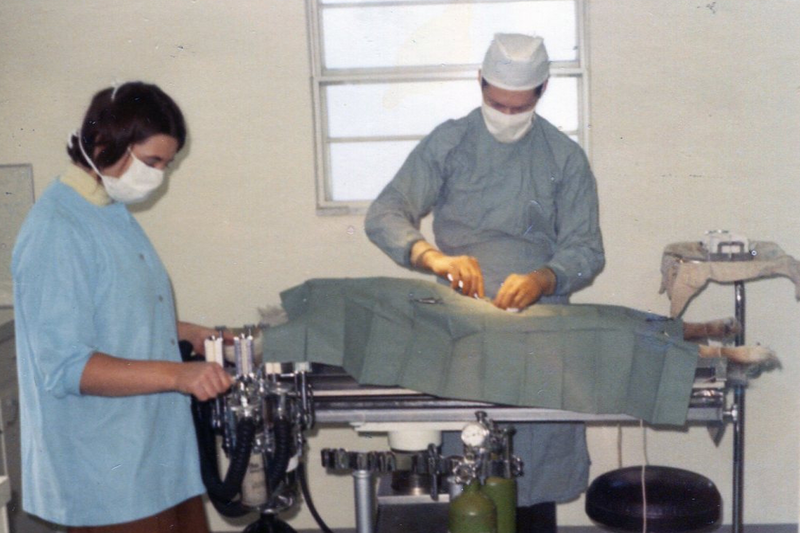 The practice continued to grow, adding support staff and advanced technological equipment, resulting in a major expansion of the physical facilities in 1975. 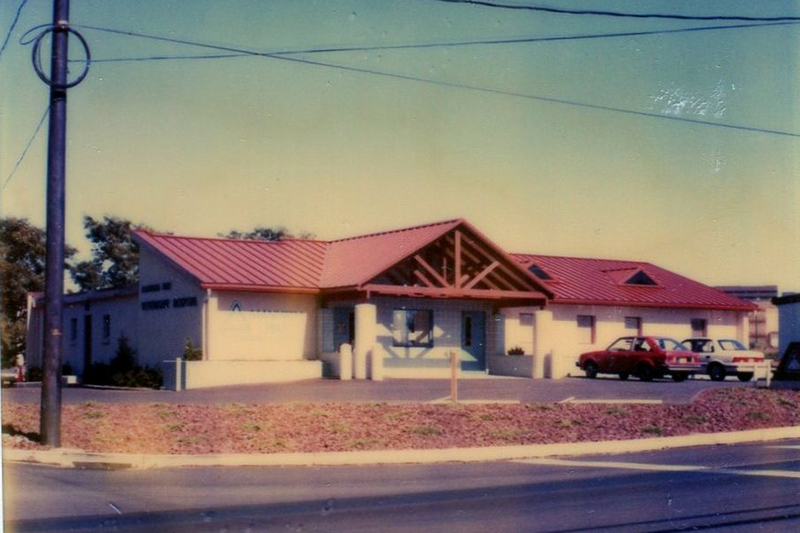 Continuing on the path of growth and change, the building was remodeled in 1990 when a complete veterinary dental facility was added to accommodate Dr. Herr’s special interest in veterinary dentistry. The practice continued to expand and thrive. 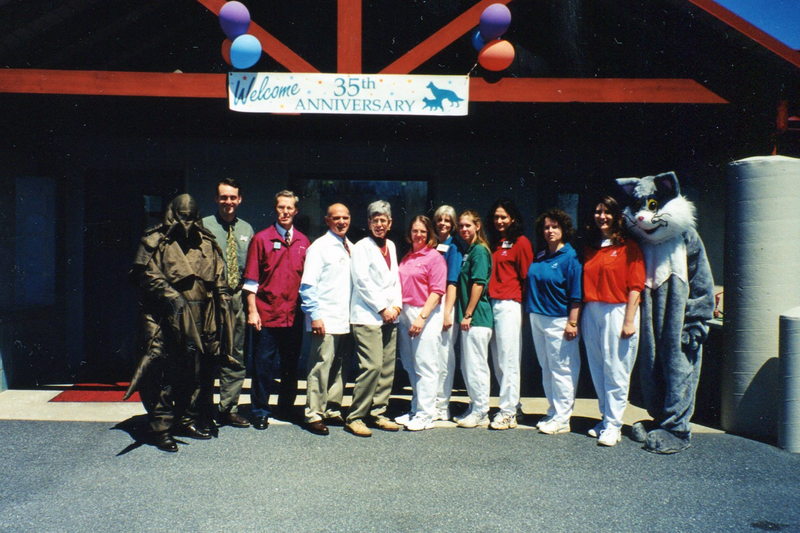 Dr. Jeff Steed joined the team in 1998 becoming the fourth full-time Veterinarian. Dr. Steed is a big fan of his alma mater Ohio State University earning his undergraduate degree and his Veterinary Medicine degree there. He might even rival others as OSU’s biggest fan. He bought the practice from Dr’s Herr and Thompson in 1999. Dr. Thompson retired in 2000 and Dr. Herr continues to practice advanced dentistry one day a week. In addition, Dr. Beth Nelms joined the MPVH family in June of 2012. She is a graduate of the Penn Veterinary School with a Master’s Degree from Drexel. Beth is a cancer survivor, diagnosed with osteosarcoma when she was 12 years old. In order to save her life, her leg was amputated and she uses a prosthesis. Minor remodeling of the doctor’s office, dental suite and treatment room took place in 2008. The building then went through a MAJOR renovation/rebuilding that encompassed the entire year of 2013. 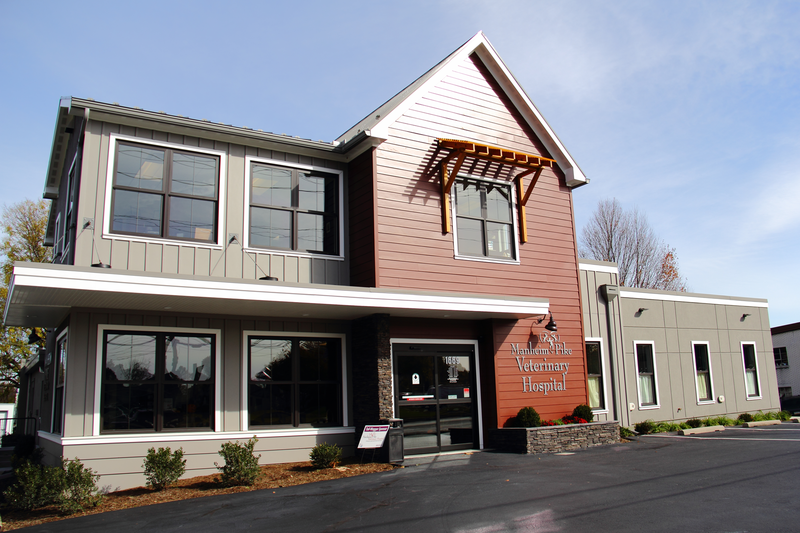 For seamless veterinary care through the renovation, we continued to see clients during this project. As a result, you can now see the beautiful building standing two stories high. Most noteworthy, this new building provides us with a better environment for our clients and our team with outstanding customer service. This also gave us the opportunity to give a higher level of care to our patients, tailoring part of the hospital to the specific and unique needs of cats. Because of this, we were able to become a certified Cat Friendly Practice in 2014. After Dr. Rovner retired in 2014 the team grew by adding Dr. Jen Morris to the team. Another Penn Veterinary School graduate, she previously had many years in practice and we were lucky to be able to add her expertise to our team. After the tragic and sudden death of Dr. David Haver in late 2014, Dr. Steed fulfilled their agreement and bought Dr. Haver’s practice; Leola Veterinary Clinic in Leola.